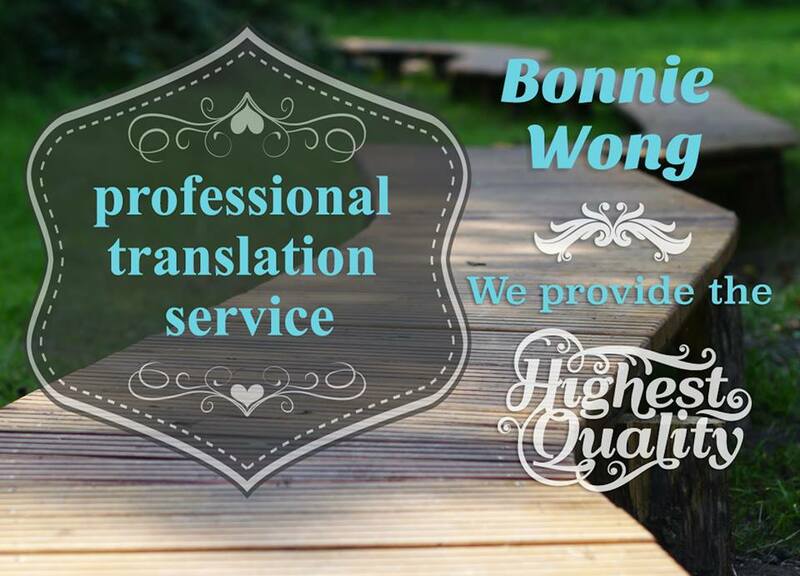 I am a bilingual English/Chinese translator with twelve years of experience. I can translate a 500-word Traditional/ Simplified Chinese document into English or vice versa within a few hours. I am thorough with research and proofreading and can deliver the work with accuracy and quality. WORD files, no PDFs and clear instructions. Amazingly quick and very thorough. Thank you Bonnie! Ordered a job for delivery in 24 hours. 48 hours later job not done despite chasing up several times, not even the courtesy to reply to messages. Excellent. Will work with her again. Bonnie did an amazing job, well beyond my expectations. Will work with her again. Highly recommended! Thank you so much for your awesome review. Really appreciate it. Thank you again for the awesome review! Bonnie always delivers for us. Thank you for the awesome review, as always. Very fast response and delivery. Thanks! Thank you for stellar rating! Thank you for the stellar rating! I am a bilingual English/Chinese translator and writer. I have been providing professional writing services on a contractual basis since 2007. I am bilingual, fluent in English,...Read moreI am a bilingual English/Chinese translator and writer. I have been providing professional writing services on a contractual basis since 2007. I am bilingual, fluent in English, Mandarin, and Cantonese and proficient in written English, Traditional Chinese, and Simplified Chinese. I am an English major and hold a Diploma in Translation studies. I am able to work independently. Attention to detail adds to my organizational skills. I can work under pressure and tight deadlines.